The Pearl PFA-206E Alto Flute is a reliable and affordable instrument ideal for intermediate players. 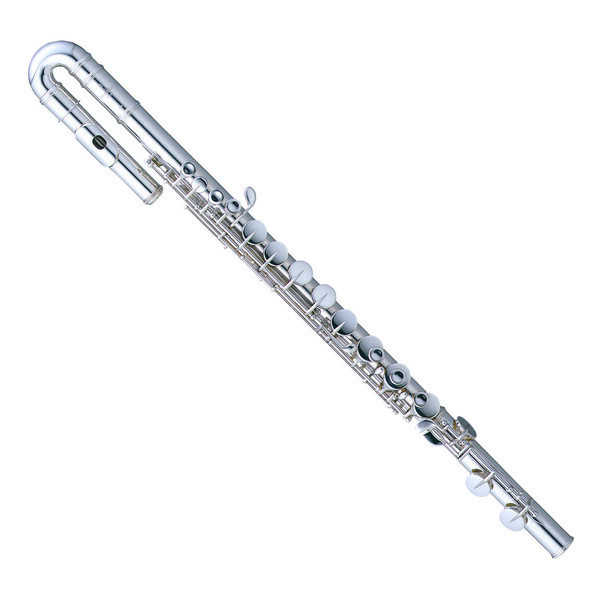 Featuring a Silver plated body with a curved Sterling Silver headjoint, along with Pearl's patented Pinless construction and One-Piece Core Bar, this versatile and responsive flute is perfect for learners with smaller hands. Mouthpiece - Ergonomically designed mouthpiece for a comfortable feel in long performances and rehearsals. Curved Headjoint - Shorter length to the keys is ideal for students and younger players. The flute is made using Pearl's innovative Pinless construction and One-Piece Core Bar, providing it with an extremely comfortable feel, as well as preventing many of the usual wear and tear problems associated with traditionally made flutes. The Sterling Silver headjoint is curved to accommodate smaller hands, allowing younger learners to access all keys easily.